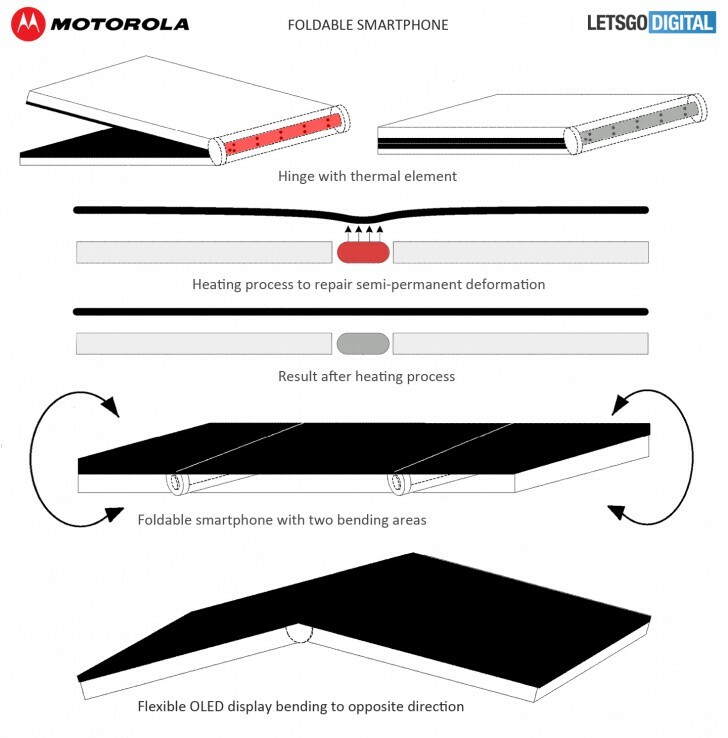 Motorola has been granted a patent for a foldable smartphone with a thermal element in the hinge. The element heats up the place where the screen has been deformed from being folded and straightens it. 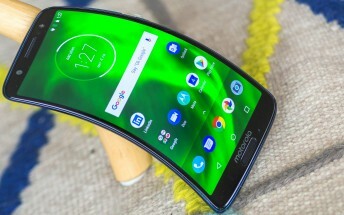 Using this design Motorola could make a flexible OLED smartphone that flexes both inward and outward and it could even have more than one hinge (to fold even tighter). Motorola filed the patent application way back in 2016. The technology is very clever. There's a temperature sensor that works even when the phone is off and when it's folded. If the temperature becomes too low the screen starts to deform, so the hinge heats up to automatically correct it. Motorola's patent isn't accompanied by a phone and it's unlikely we'll see one soon. Samsung looks like the maker to bring out a flexible OLED phone to market first, but even that will happen next year.